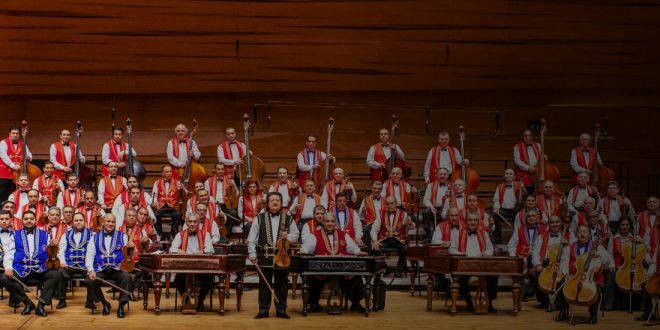 The traditional and extremely famous Music-Wine Gala Concert of the 100 Member Gypsy Orchestra is a thrilling way to say goodbye to the old year. The evening begins with wine tasting and a folk dance show. The concert can also be combined with a delicious dinner (see ticket category options). The orchestra has been performing for 30 years as a classical symphony orchestra. Hello, I need know if is possible entry in concert in the second part, my flight arrive Budapest 16,00 I supose is good , if the flight delay …. other question if we want buy tickets only concert and taste wine , what row is available? Should you be late, it is possible to join for the second half of the evening. Concert, wine tasting and folk show, and a four-course dinner. Concert, wine tasting and folk show, and snack. Concert, wine tasting and folk show. It is up to you, which category you choose. The dress code is casual / smart casual. The casual dress code only emphasizes comfort over presentation, formality and conformity. More simply, it is something relaxed, occasional. Wearing jeans and trainers means no problem at all.